We are super excited about today’s post! Our friend CoCo of The Crowned Goat is so smart. 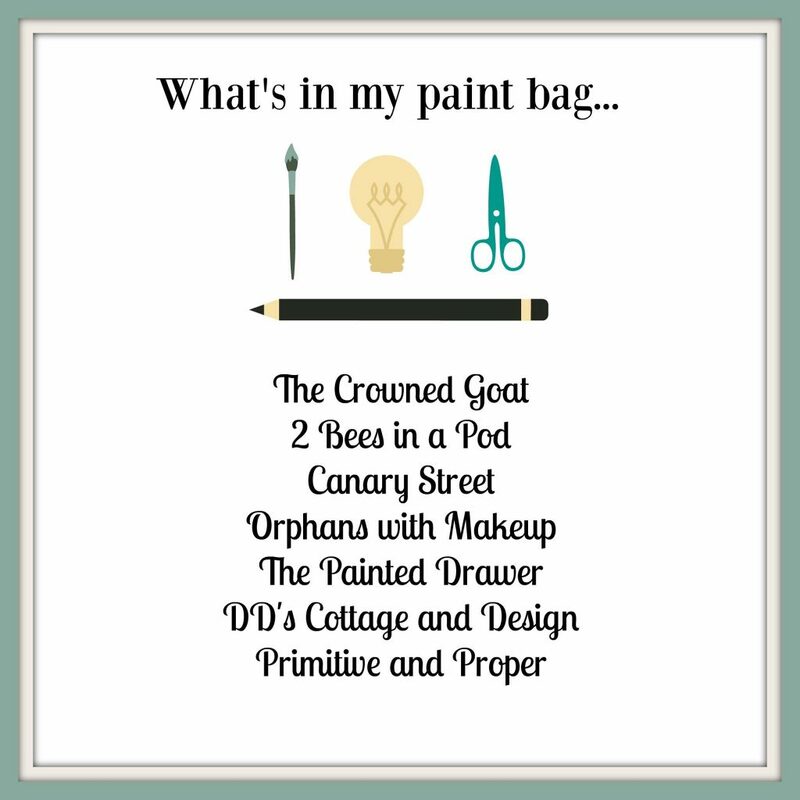 She has rounded up 7 like-minded furniture painting pros and has asked the question…What’s in My Paint Bag? We are always curious what other furniture painters are using as their standard go-to items when they are painting a piece of furniture. Aren’t you? It will be fun to see what we each deem our must-have items in our paint bags. 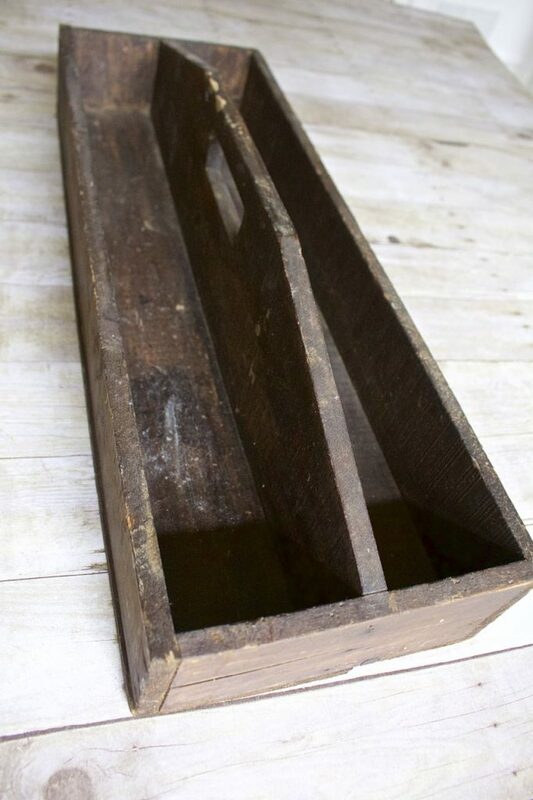 Our “bag” is really a vintage handmade wooden tool caddy. This caddy was purchased several years ago at an estate sale for just $5.00. This caddy is the real deal…it was definitely used a lot by the person that made it. We have painted a lot of furniture over the past several years. 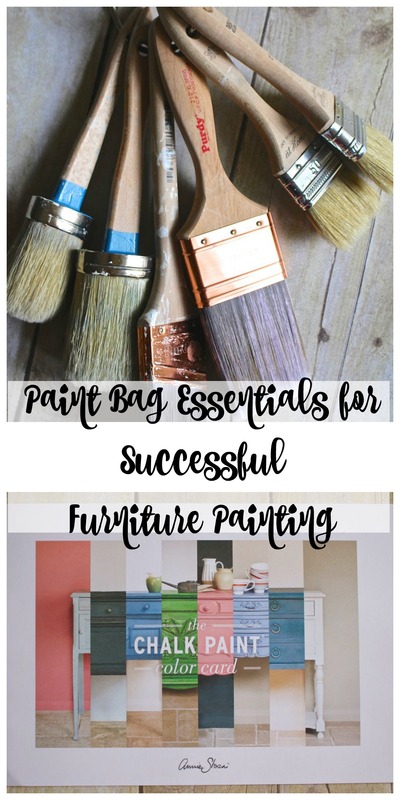 We have definitely come up with our “must-haves” – the items that we use for practically each and every paint job…whether for a client or for our personal use. The key for us is to be organized. By corralling all of these items in our tool caddy it saves us so much time. We aren’t making several trips out to the garage…everything is already organized in the caddy. These rings are our most favorite thing to use in our caddy. We purchase sets of them in a variety of sizes at the dollar store. 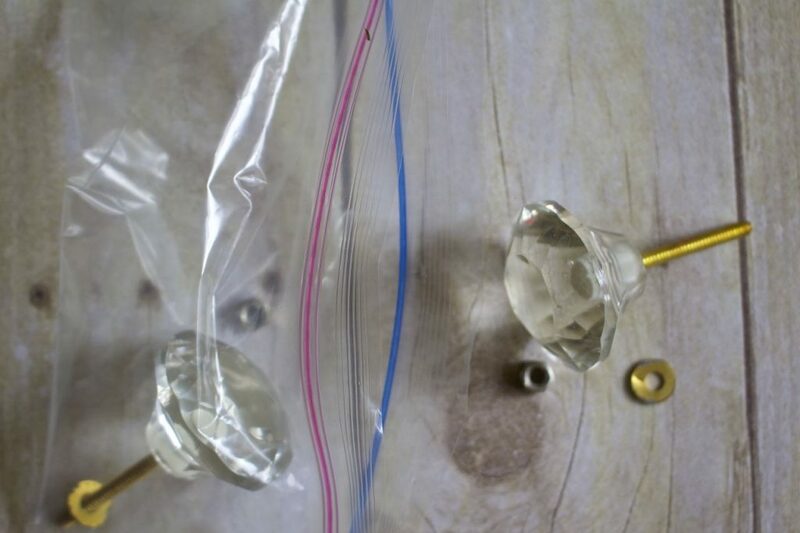 You might be scratching your head right about now thinking…what do these rings possibly have to do with furniture painting? We have a few uses for them as you will see throughout this post. 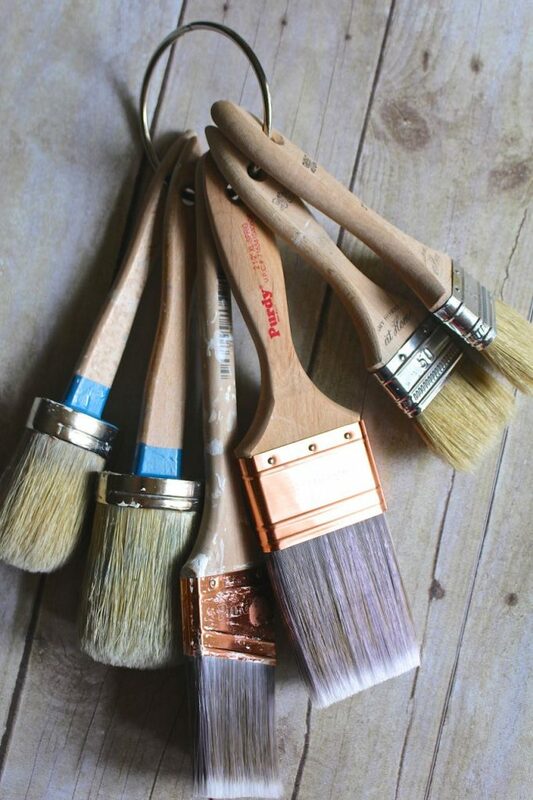 We have many different varieties of paintbrushes and wax brushes. Our most favorite paintbrush is the angled Purdy brush. 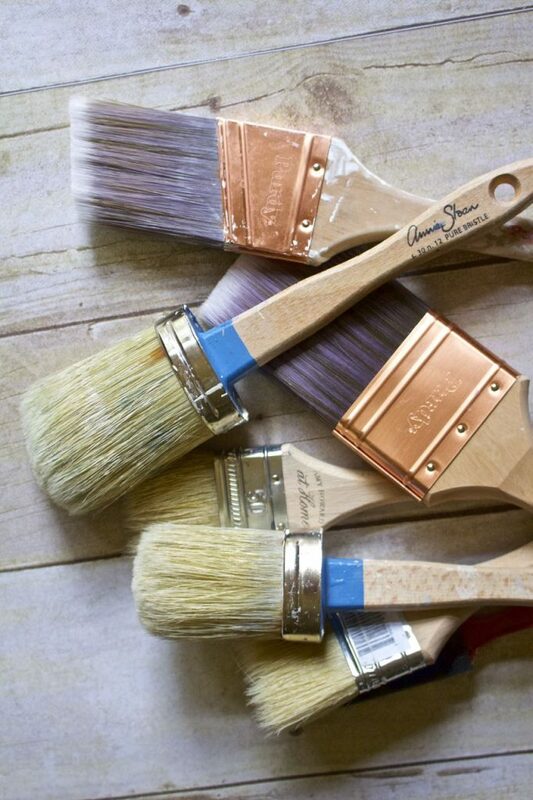 Each of these brushed serves a purpose – chalk painting, chip brush, wax brush and flat edged brush. We use them all, depending on the project. We use the large ring to hold all of our brushes. We don’t need to dig through our tool caddy to find the brushes. We can flip the brushes all the way around the ring and open it to our brush selection. This ring system was a game changer for us. We keep a few of these on hand to open our paint cans and wax canisters. We keeps these close by. We use them for cutting off tags and cutting up rags. 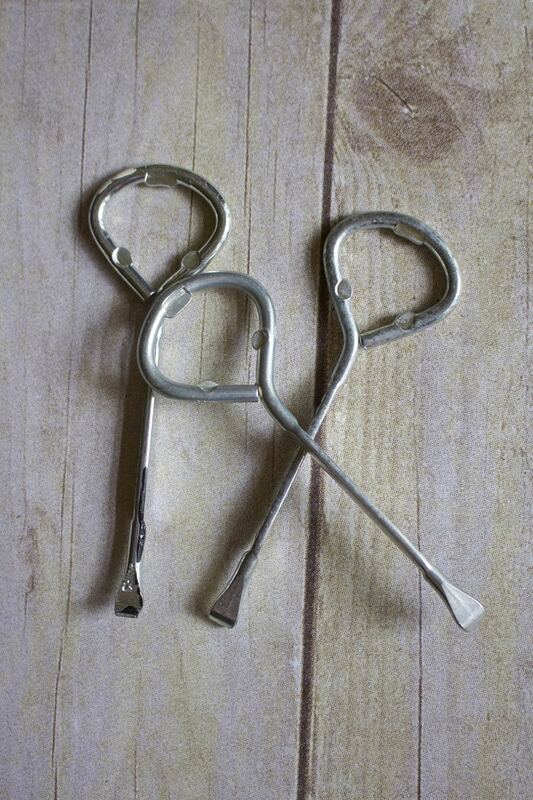 The paint can openers and the scissors are placed together on a small binder clip. This is another invaluable item. 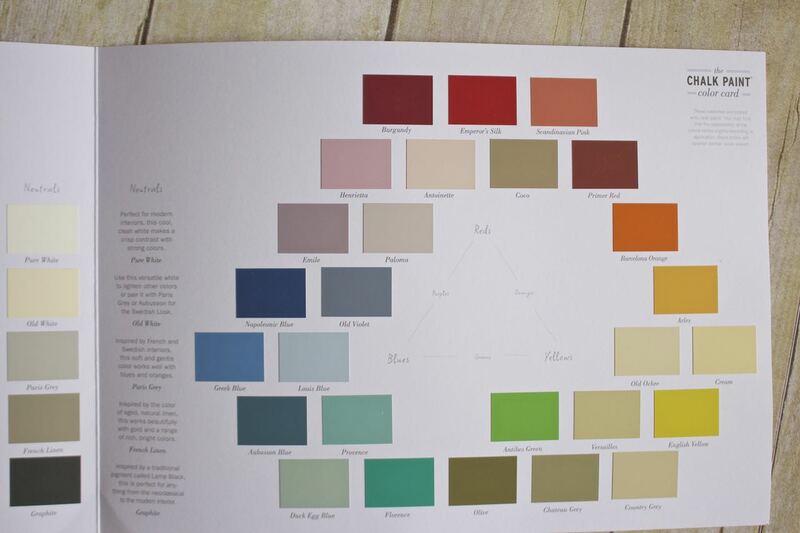 When we are having brainstorm session for a furniture makeover, we love to refer to the color chart. Also, clients can have a better visual of paint color options with this chart. Are you familiar with this product? We use it for a lot of things and we love its’ orange scent. Sometimes when we purchase a piece of furniture it may have a price tag on it or a previous owner might have put labels on it. Sometimes there might be a sticky residue on a piece. 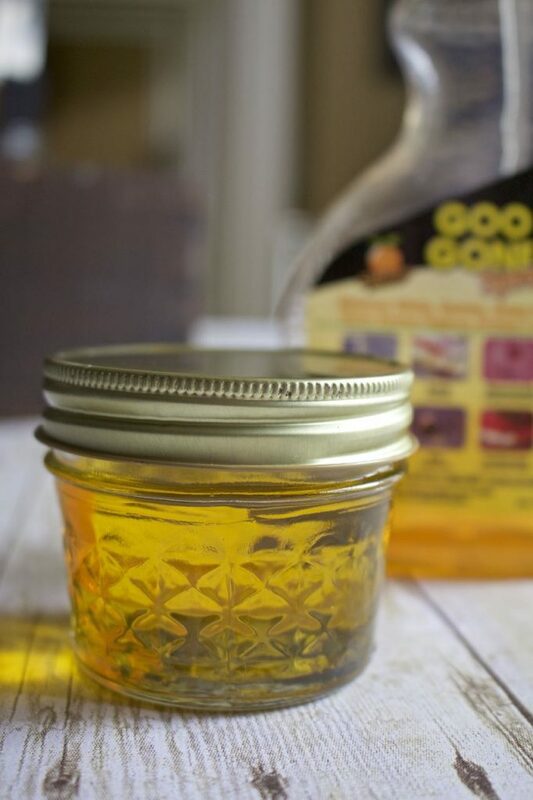 We keep a mini-jar of Goo Gone in our stash for just this purpose. We soak the labels in Goo Gone for a few minutes and they come right off of the furniture piece without any harm to the wood. Baggies are great for a multitude of reasons. Our most specific purpose is for holding the hardware pieces from furniture drawers. 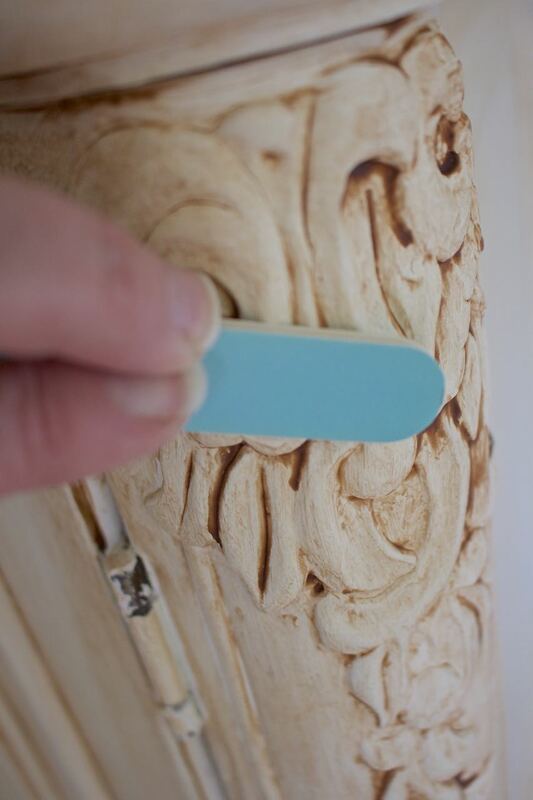 There’s no guesswork as to “where did that knob go?” We also like to use baggies to place over paintbrushes. 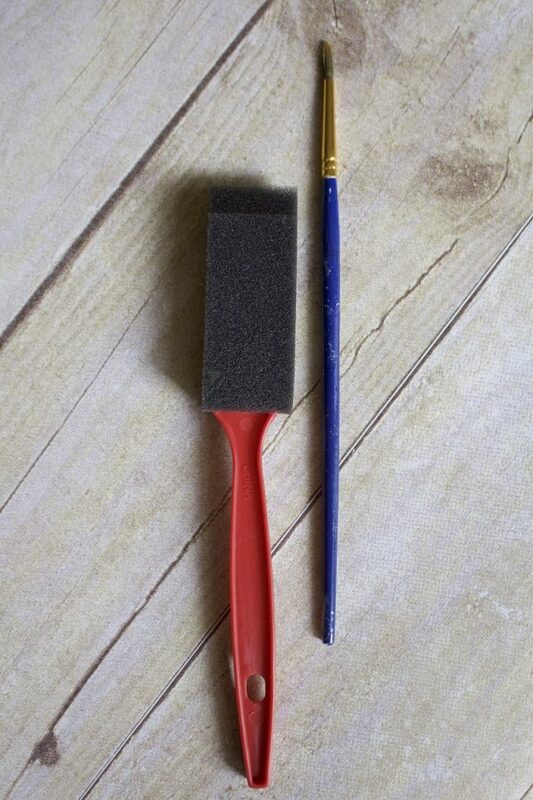 If we are mid-project and either waiting for the first coat of paint to dry or decide to take a little break, we place a baggie over the paintbrush bristles to keep the paint from drying out on our brush. 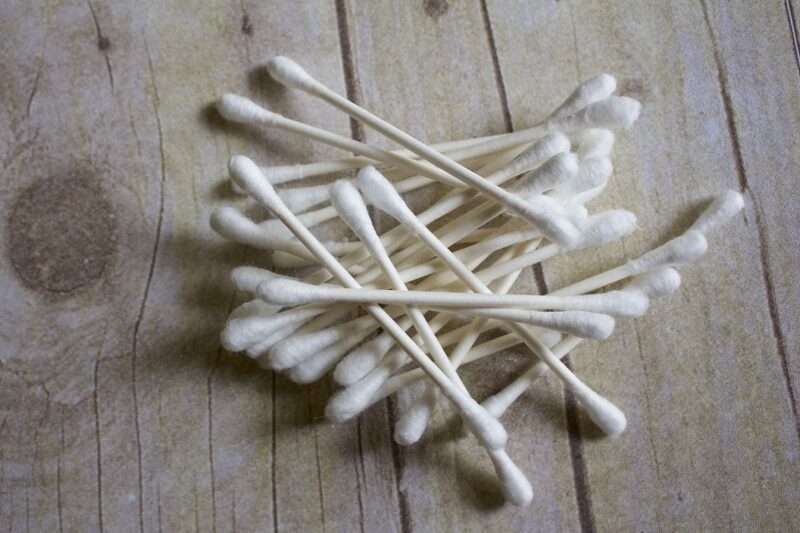 We use Q Tips as little brushes. 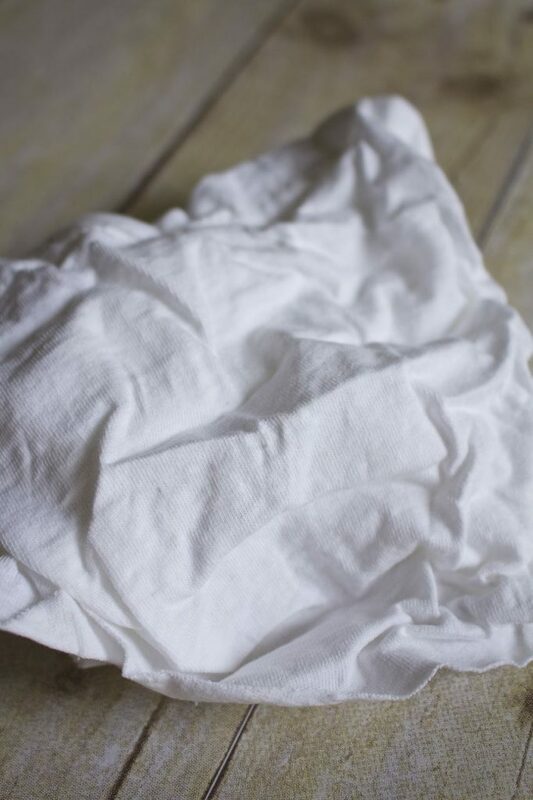 They are the perfect size to get into grooves, nooks and crannies – for cleaning, painting or adding wax. We keeps lots of sandpaper options in our paint bag. 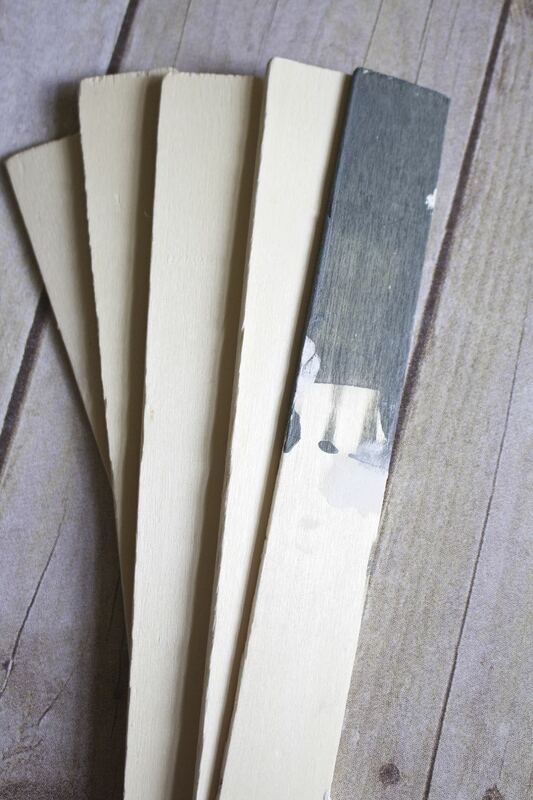 We use different variations of paper from fine to rough grit. We tear the paper up into quarter sections for ease of use during a project. Nail files are used for detail sanding in hard to reach places, moulding or trim work. 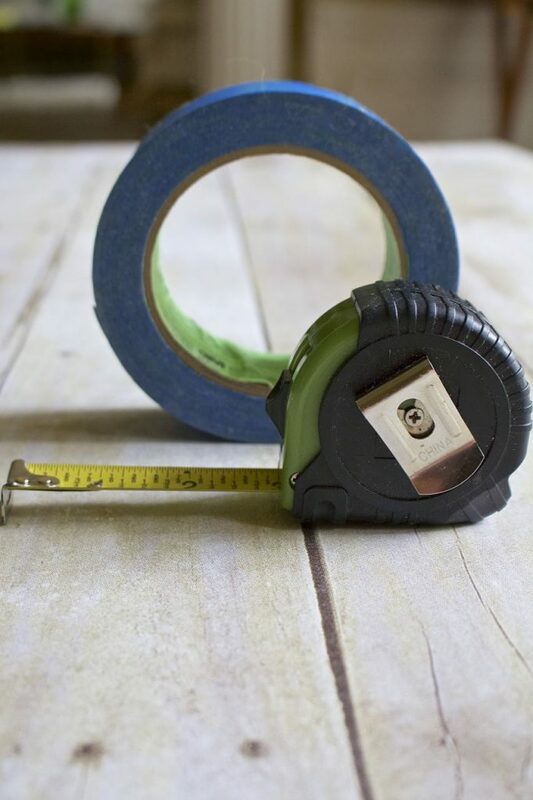 We use the tape measure for the general purpose of measuring the total size of a piece of furniture. The size is logged into our inventory and helps us determine the overall price for clients. 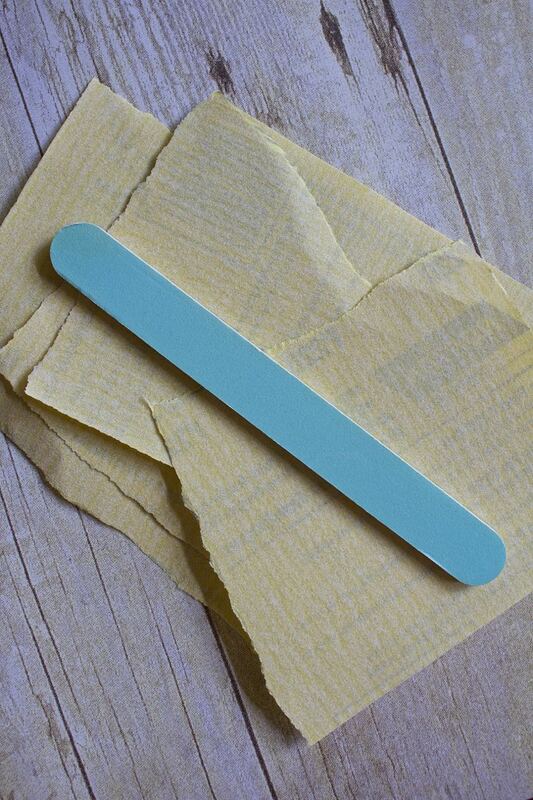 Painters tape is great for taping off areas that we don’t want paint on…the inside edges of drawers, legs, etc. 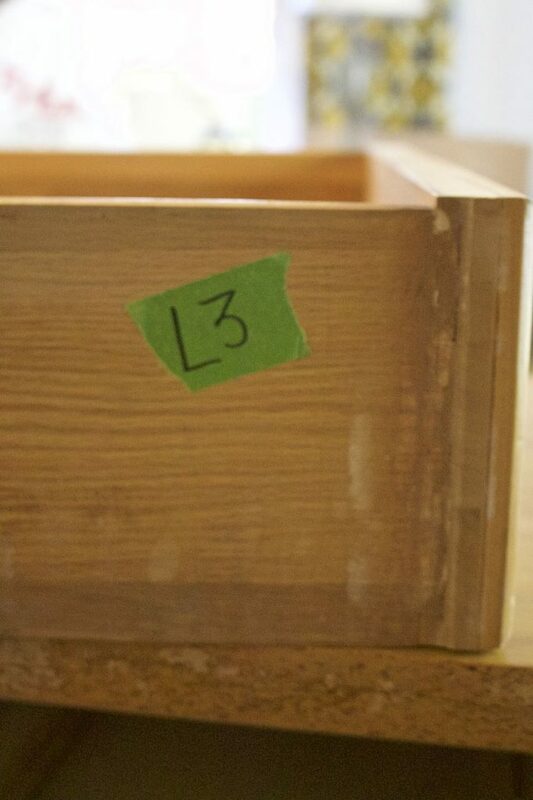 For ease of putting drawers back in their proper order, we add a piece of painters tape like the example below…Left side – third drawer. No, it’s not for snack time LOL. We use the paper cups for water. The water is added to paint and it is used for clean up. 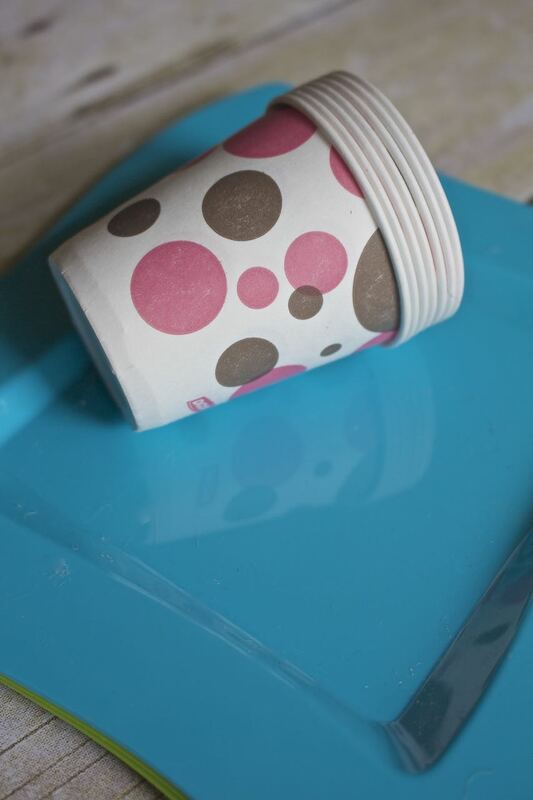 The plastic plates are used like a palette. Interchangeable drill bits make this selection invaluable. 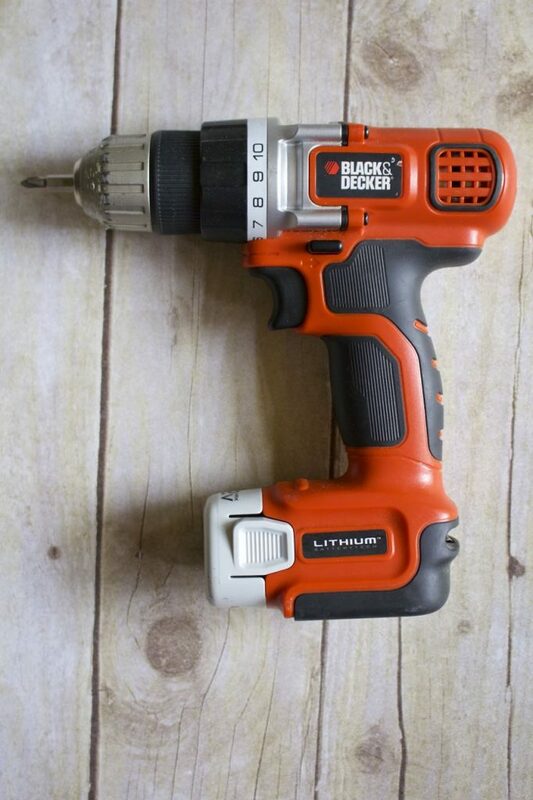 We use it to remove hardware, repair furniture legs and sometimes drilling new hardware holes. 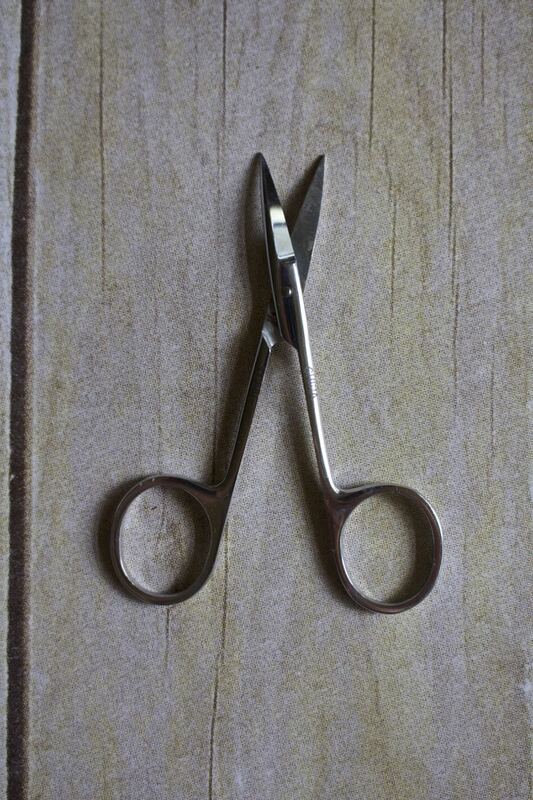 These are used specifically for touchups. 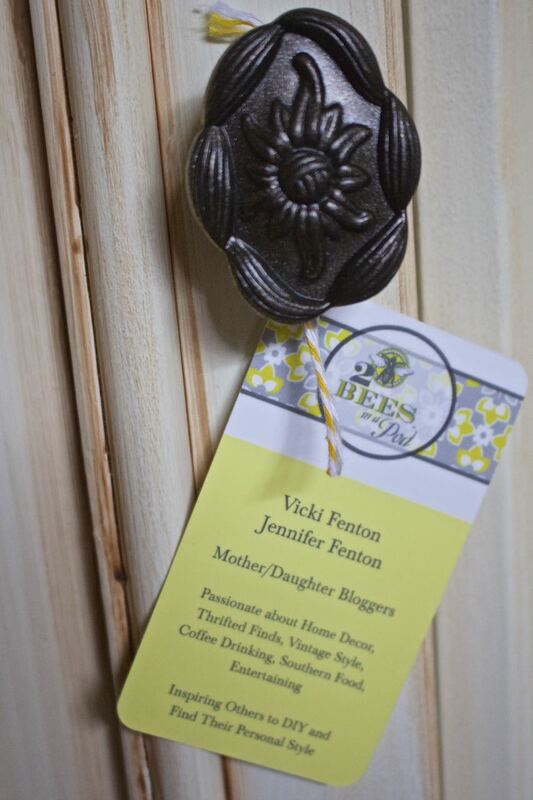 Since most of our painted furniture are for clients, we like to add a business card to our completed pices. 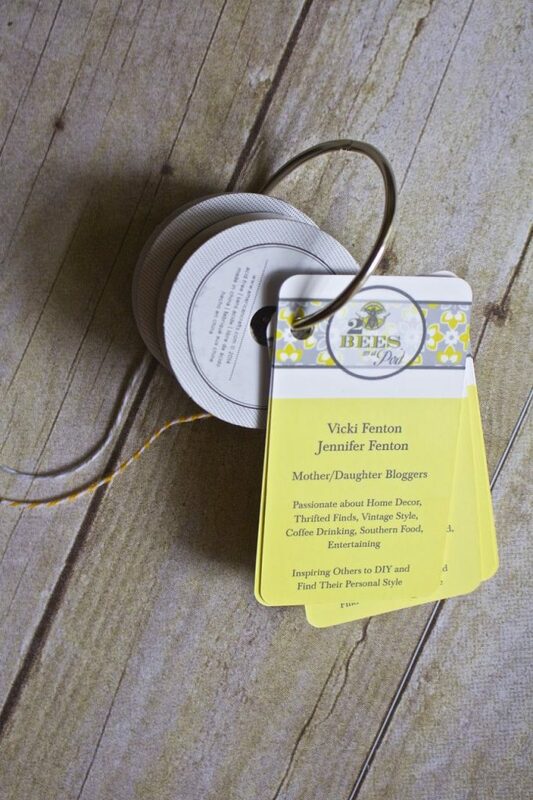 Our cards are also used as sales tags. 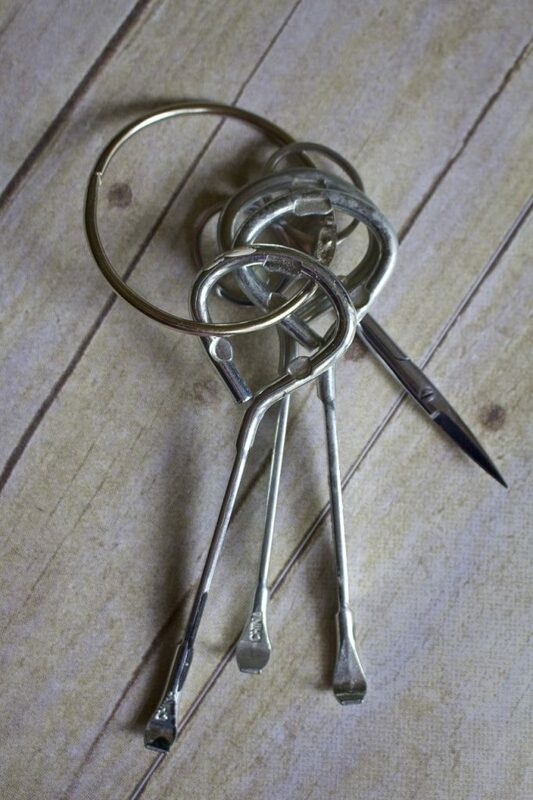 We add them to a binder ring along with baker’s twine for the ease of adding them to a painted piece of furniture. So, that’s “What’s in my paint bag”. We hope that you found our tips helpful. 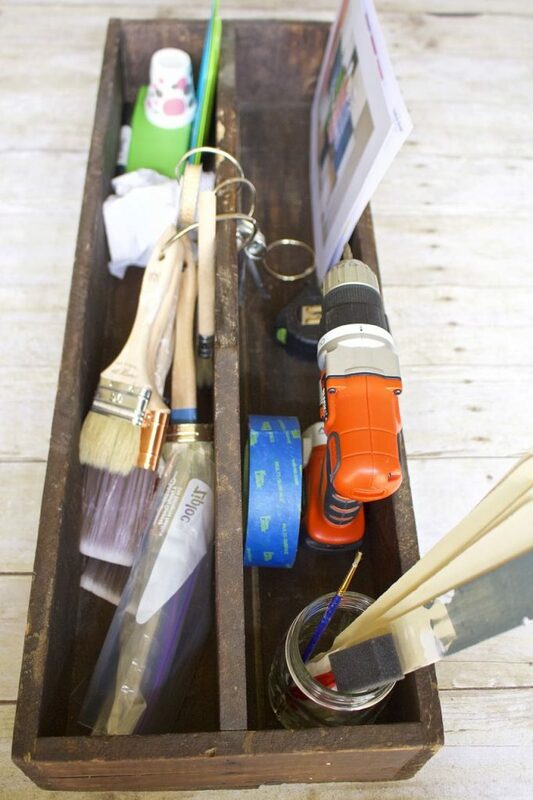 We are interested to know…what’s in your paint bag? Click through the following links to see what other pros keep in their bags. That tool caddy is such an awesome find! And the binder clips are a genius idea for keeping everything together and organized. Thanks for sharing your tips! oh yes i love goo gone! it’s amazing! and love your wooden caddy! the rings are a great idea. Sur did like this posts! I have my stuff in three differnet place. I have a question. The old barn wood in our kitchen was painted and we added another coat years ago. Any hints on how ot removed the paint to expose most of hte wood. To get down in most ofhte groves will be next to impossible. Thanks. I love the nail file and clip ideas! 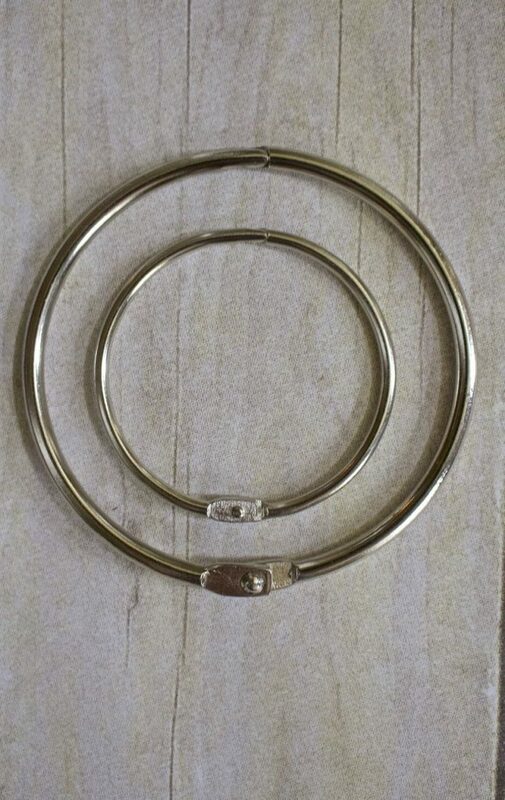 Love the idea of binder rings. I’ll have to try the Goo Gone. I loved reading about your favourite fools. Have a great day. 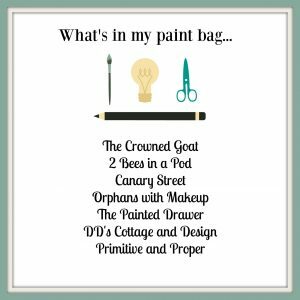 Mary Vitullo recently posted…What’s In My Paint Bag? Hi, I have read with interest “5 things” and “What’s in my paint bag”…There is a lot of valuable information I do have a question that I am hoping you can help me with. I am looking to buy a small table that has a stained top and painted legs. It is made of Rubber Wood aka Parawood, that I understand is real wood, a very dense wood. This is a very inexpensive piece of furniture, but if I do buy it, I want to completely redo it by painting the top and legs with chalk paint, the same, and doing some distressing as well. It will be used in a kitchen, so I will have to protect the top as well. 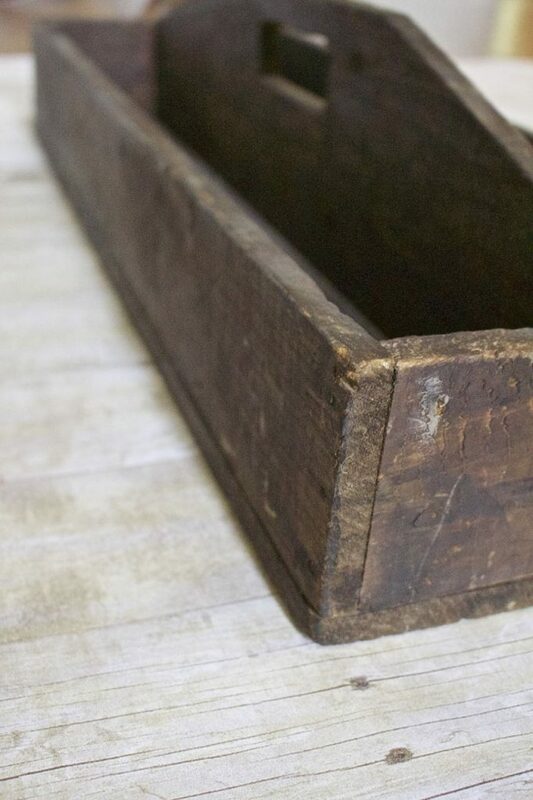 From what information I can find, the wood is so dense, it might be difficult to paint..and with the stained top, I want to be sure the paint would adhere. Have you worked with Rubberwood and do you have ideas or tips that might be of help. Thank you so very much..